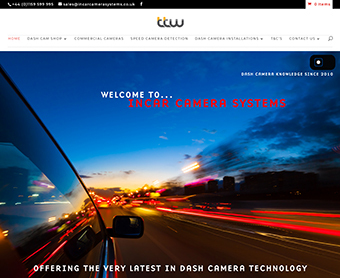 TTW Distribution LTD, offer Dedicated solutions for vehicle CCTV, HGV, Tracking and Accident Blackspot Systems for automotive use and leisure. 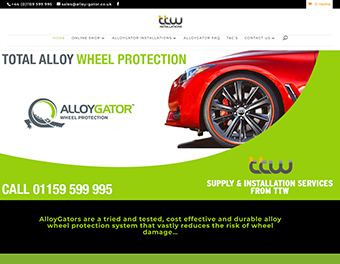 TTW have strategic alliances and partnerships with the industry leaders such as Autowatch Ghost, Smartrack, Target Blu Eye, Road Angel, Road Angel Pure, AlloyGator, Blackvue Dash Cameras, Lukas HD, Qvia HD, Bulldog Secure - hitch Locks, Wheel Clamps and much more. Due to our unbiased and independent views, we have very knowledgeable and enthusiastic staff and this has made us the number 1 choice for your company. Due to TTW's buying power, TTW are able to also offer all our product range for trade, please give us a call for our Trade Application Form. 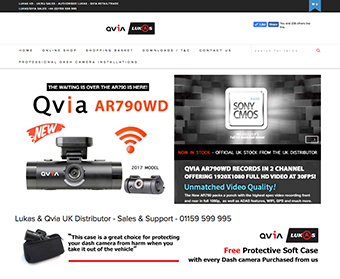 The in car camera market has been very busy recently with a lot of new models appearing on the uk market as well as some new existing model upgrades from Lukas HD & Blackvue. Here at in-car camera systems we have the perfect range of solutions for all your requirements. We test and trial every product we sell so we are able to fully advise on the best solution for you. Our staff are very knowledgeable, we are here to advise you, so you buy the correct product first time. The 2018 LUKAS Range offers unrivalled Video/Image quality with 16:9 wide screen, 30 fps & 1920 x 1080p gives you the experience of the most advanced level of vehicle accident camera system. The full range will easily recognise fast passing objects with a speedy & smooth video playing. The LUKAS range also offers excellent visibility and wide viewing angles without distortion. 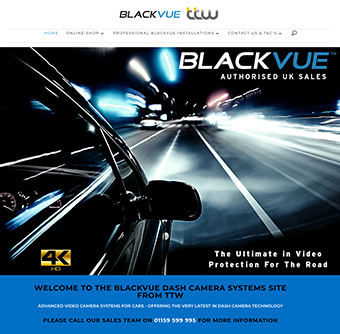 Blackvue offers a stunning range of HD & Full High Definition cameras equipped with In-Built GPS and Wireless (Wifi) Connectivity and 2 channel solutions. 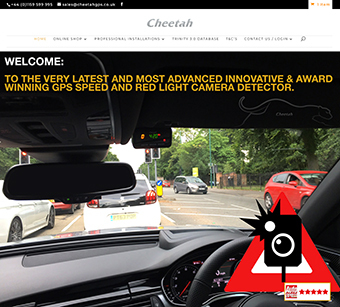 New for 2018 is the Cheetah C550, Cheetah Advanced Technologies Ltd have been manufacturing leading speed trap detection equipment since 2003. Fantastic new C150 GPS speed and red light camera detector. 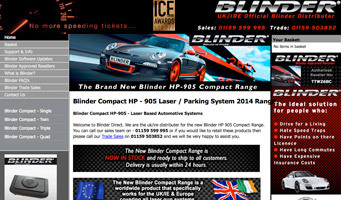 The Blinder Compact Range is specifically designed for use in the: UK/IRE/EU. ..Its been tested against all current laser guns. 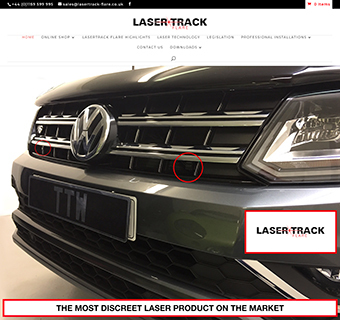 The product we sell has the correct software for all EU/UK/IRE Laser Guns. The Valentine One Generation3 is accepted by press and public as the most powerful portable radar & laser detection system available. Updated for 2015 with Ku band Mini Gatso detection and new compact design (now 25% smaller). 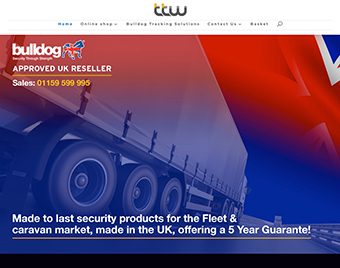 Bulldog Secure Approved Distributer Website - Security Solutions for all your Fleet, Motorhome, Plant & Trailor. 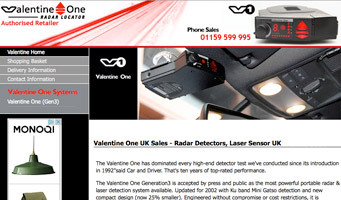 Offering a 5 Year Guarantee on all the product range..
Offering The very latest Speed Camera location devices. 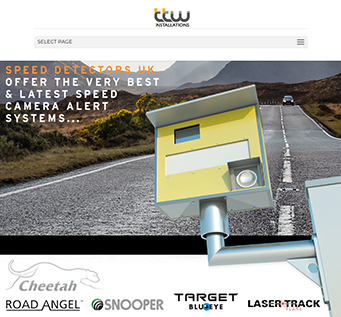 We have been supplying speed cameras detection devices for the last 15 years. We only supply the very best devices that work! Offering The Full Range of GPS, Laser Speed Camera Detection systems on the market. Road Angel - Cheetah - Snooper - Target Blu Eye - Laser Track Flare. The UK’s most advanced camera locator now comes with brand new alerts and features! 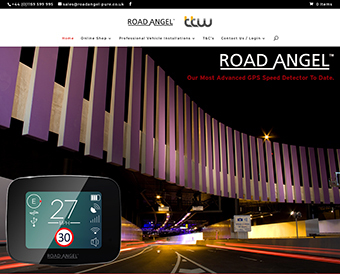 ROAD ANGEL Pure is the new and improved speed management device from Road Angel. The ultra-small LaserTrack Flare is an innovative multifunctional remote control device which combines with the most advanced laser speed trap protection-technology. 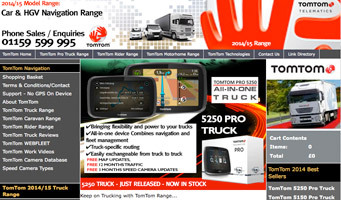 The TomTom 8270 Pro Truck & pro Truck, PRO 5250 TRUCK LIVE, & the very popular drivers can safely navigate throughout Europe on truck-friendly routes, avoiding dimensional, weight etc. 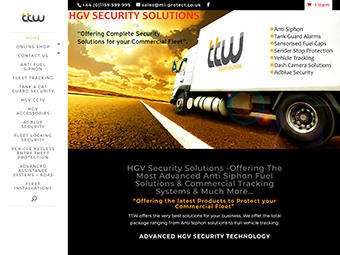 Security Solutions for all your Fleet, Motorhome, Plant & Trailor. Call us today for all your HGV & Fleet Requirements. 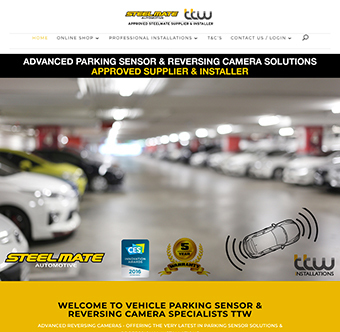 Vehicle Parking Solutions - Reversing camera and parking sensor specialaists. Offering the very latest and highest quality parking solutions for your vehicles.Approved Steelmate Supplier and installer. Steelmate offer the highest quality parking sensors as well as reversing camera systems. Please do not confuse these products with the cheap solutions on the market. Depending what model you go for they come with either a 3 or 5 year warranty. TTW Installations is a uk based company with its roots planted firmly in the heart of the East Midlands. 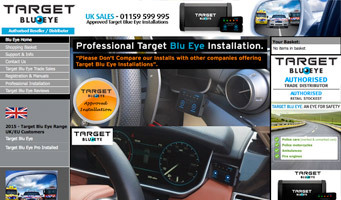 We offer the very latest automotive gadgets and security solutions throughout UK and Europe. 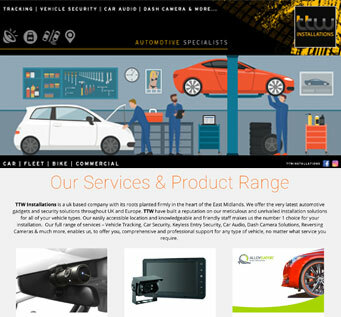 TTW have built a reputation on our meticulous and unrivalled installation solutions for all of your vehicle types. Our easily accessible location and knowledgeable and friendly staff makes us the number 1 choice for your installation. Our full range of services – Vehicle Tracking, Car Security, Keyless Entry Security - Autowatch Ghost, Car Audio, Dash Camera Solutions, Reversing Cameras & much more, enables us, to offer you, comprehensive and professional support for any type of vehicle, no matter what service you require.